I love the Wild and Scenic Kern River on the Sequoia National Forest in the Southern Sierra Nevada because it runs through me. It is my life river! I have learned to flow with it through life whether at flood stage or peacefully finding its way along the banks. Its water brings life to all that its currents and eddies touch. I never tire of being on the river; smelling it, touching it, hearing it and seeing the grandness it projects. It begins as a trickle on the slopes of Mt. Whitney and traverses 165 miles of scenic canyons as it becomes a forceful waterway. 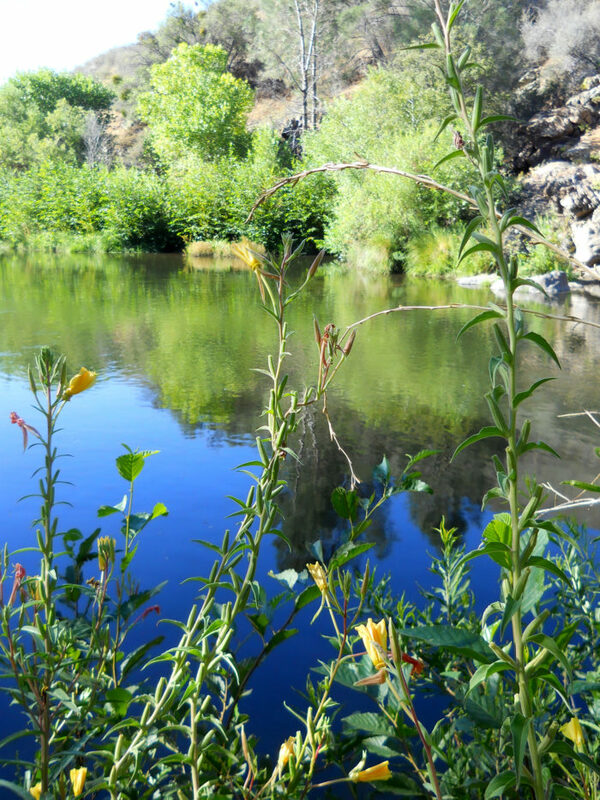 The Kern is home to the Golden Trout and the Kern River Rainbow Trout. Its biodiversity is unchallenged by any other river, flowing from alpine slopes to the floor of the Southern San Joaquin Valley. This mighty waterway offers the best of experiences for those who visit and enjoy its bounty and beauty. I have spent a lifetime on in, by it and in it. My great grandchildren are the sixth generation of a family who has the river in their souls. It is the lifeblood of the Kern River Valley and has become my purpose in my later years. The river and I are connected. I hear it, it hears me. I am the co-founder of Keepers of the Kern, Inc., a grassroots, nonprofit organization based in Kernville, California. Keepers mission is to clean, restore and protect its unique qualities. The actions which are taken today on the Wild and Scenic Kern River will ensure it is protected for generations to come. “One Person Can Make A Difference, Together We Can Make It Right”! The Kern is my life and as long as I have a breath left, I will love it and take care of it.